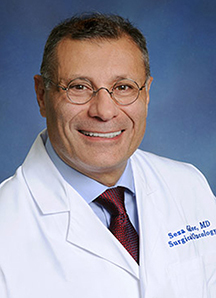 Dr. Seza Gulec is the founding president and the Chief Executive Officer at Miami Cancer Research Center. Dr. Gulec is also is the founding Chief of Surgical Oncology and Endocrinology and Director of Surgical Research at Florida International University. He is the Chairman of Department of Surgery at Aventura Hospital and Medical Center. Dr. Gulec received his medical degree at Ankara University College of Medicine, Ankara, Turkey. He is trained in surgery at Louisiana State University Health Sciences Center in New Orleans, LA, in nuclear medicine and nuclear oncology at the Memorial Sloan-Kettering Cancer Center in New York, NY, and in surgical oncology at the John Wayne Cancer Institute in Santa Monica, CA. Dr. Gulec's areas of clinical expertise include treatment of thyroid and parathyroid diseases, carcinoid and neuroendocrine tumors, melanoma, breast cancer, primary and metastatic liver cancers, and pancreatic cancer. 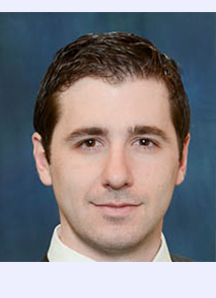 Dr. Gulec is an established researcher in surgical and nuclear oncology fields. The main focus of his research is molecular imaging and targeted radionuclide therapy in solid tumors. His laboratory is actively involved in the development of novel positron Emission tomography (PET) imaging agents, and radioimmuno, radiopeptide and radiomicrosphere therapy strategies which include molecular theranostics and dosimetry. Dr. Gulec has authored landmark publications in lymphatic mapping, sentinel node biopsy, radioguided surgery, radionuclide therapy, and molecular imaging. 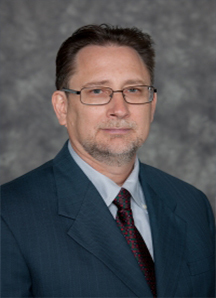 Anthony McGoron is a Professor of Biomedical Engineering and Associate Dean for Academic Affairs in the College of Engineering and Computing at Florida International University (FIU). He received his PhD in Biomedical Engineering from Louisiana Tech University and post-doctoral training in the Department of Pharmacology and Cell Biophysics at the University of Cincinnati College of Medicine. Before Joining FIU he was Assistant Professor at the University of Cincinnati Department of Radiology, Divisions of Nuclear Medicine and Medical Physics. He is a Fellow of the American Institute for Medical and Biological Engineering (AIMBE). He served as Interim Chair of the Department of Biomedical Engineering from 2007-2010. 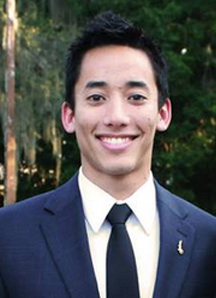 He was National President to the Alpha Eta Mu Beta Biomedical Engineering Honor Society 2010-2014. He has over 200 journal articles, book chapters and proceeding papers. He has received funding from the NIH, NSF, DOD, AHA, and Fl-DOH as well as numerous companies. The primary focus of Dr. McGoron is drug delivery and molecular imaging, primarily for cancer, and specifically for the development of multimodal drugs that simultaneously image and provide therapy (Image Guided Drug Delivery and Therapy). Efforts include development of tissue or cell specific contrast agents and probes (both optical and radioactive) for noninvasive molecular imaging of cellular and tissue characterization and monitoring toxicity. After earning his doctorate he sought out experience in a medical school environment to compliment his engineering knowledge with that from biomedical scientists and clinicians. He spent 3 years in the University of Cincinnati Department of Pharmacology and Cell Biophysics, then 5 years in Radiology developing new Tc-99m tracers for cardiovascular applications. He began investigating imaging and drug delivery applications for cancer shortly after arriving at FIU. He has been developing imaging probes for over 25 years, including Tc-99m and Ga-68 for SPECT and PET, cyanine dye labeled nanoparticles for Near Infrared fluorescence imaging and silver nanoparticles for Surface Enhanced Raman Spectroscopy (SERS) for biosensing. He has also studied the synergism of chemotherapy, hyperthermia and photodynamic therapy for cancer. Studies are done in cell culture, tumor spheroids, and in vivo in mice and rats. He actively collaborates with scientists in the Departments of Chemistry/Biochemistry and Biological Sciences as well as with clinicians from Radiology, Surgery and Oncology. Dr. McGoron has a long and distinguished history of curriculum development at Miami's first and only four-year, public institution. FIU is the 4th largest university in the United States and a designated Hispanic Serving Institution. While maintaining a productive research program in drug delivery and image guided therapy he was instrumental in the development of the academic programs in Biomedical Engineering at FIU. He joined FIU in 1999 into a just formed Biomedical Engineering Institute, which at the time had only a MS and undergraduate minor program. He was a founding member of the Department of Biomedical Engineering in 2002 and led the design and implementation of the BS in BME program and its accreditations in 2005 and 2008, and 2014. He has graduated 11 PhD students and 22 MS students (11 thesis and 11 projects) and mentored over 75 undergraduate students in research. Marisabel Davalos is the executive director of translational research at the Miami Cancer Research Center. She is one of the founding directors of the research center. She has a strong background in research and education. 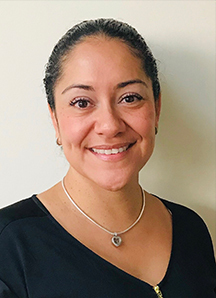 Ms. Davalos has 20 years of experience and adept in leading and managing multi-site and multi-study initiatives from clinical trial conception to inception, submission to regulatory and funding agencies, and site initiation. Ms. Davalos obtained a Master of Science Education (MSEd.) degree at University of Miami. She worked at the UM’s research enterprise in a number of roles and responsibilities including senior research associate, IRB regulatory analyst and Associate Director of Education Initiatives. In 2009, she joined Florida International University Herbert Wertheim College of Medicine as the Associate Director of Clinical Research Programs for surgical oncology and nuclear medicine. She developed a comprehensive translational molecular imaging and therapy program based at Jackson North Medical Center. She designed and built a clinical trial office infrastructure and developed a regulatory infrastructure for a radiochemistry laboratory at JNMC. 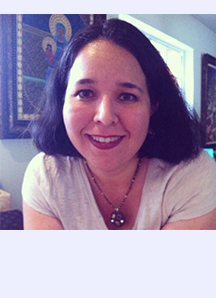 Ms. Davalos currently serves as the Director of Research Support at University of Miami, Miller School of Medicine. In her capacity as the executive director of translational Research at the Mami Cancer Research Center, she manages all administrative, regulatory, and logistics of clinical trial execution and management, regulatory submissions for Investigational New Drug, New Drug (IND) and Investigational Device Exemption (IDE) applications. She is also charged with maintaining and executing study data and protected health information. Dr. Michael Syme is the Chief Operating Officer at Miami Cancer Research Center. He has a solid experience in research and healthcare administration. After completing his undergraduate degree at the University of Florida he worked as a Post-baccalaureate Research Fellow at the National Institute of Health in Bethesda, MD. He graduated from of the Florida International University Wertheim College of Medicine in the inaugural class where he become involved with clinical research, organizing and implementing phase I and II trials, as well as structuring translational research projects. Dr. Syme gained further experience in the administrative requirements and best practices needed to maintain an active research group. After obtaining his MD degree, Dr. Syme focused his studies on healthcare administration and acquired significant organizational and operations experience by working as a Strategy and Operations Consultant for Humana. He currently is in the field of internal medicine. 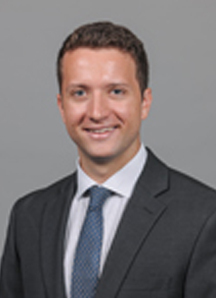 Alexander Breslin is the Executive Associate Director of Operations and one of the inagural fellows in translational research of the MCRC. He received a degree in Biology from the University of Florida and is currently a Doctor of Medicine candidate at Florida International University in Miami, Florida. Edmond Benedetti is an Executive Associate Director of Operations and one of the inagural fellows in translational research of the MCRC. He received a degree in Biology and psychology from Washington University in St. Louis, and is currently a Doctor of Medicine candidate at Florida International University in Miami, Florida. Adriana Rieche is the executive director of finance at the MCRC. She has been involved with healthcare operations and research coordination since the inception of Miami Thyroid Oncology Consortium. She has served at different professional levels in the organization. Besides her main responsibility as an executive director of finance, Mrs. Rieche serves as a liaison for the MCRC’s clinician/researcher network and industry partners.